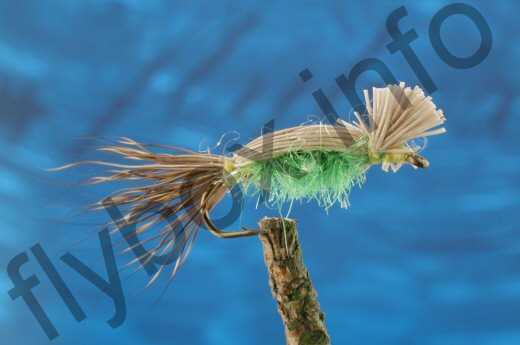 This is a great emerger, for best results use a floating leader with the fly on or just below the surface. The Cooper Bug is on Terry's list of his best six patterns. Body : Colour dubbing of your choice. Overbody : Deer brought forward from half a tail fibre. Tied down on top of body with short tuft protruding upwards over eye of hook.